Who is in your prayers? How often do you pray or do you pray at all? Do you pray when you are alone or in a gathering, to ask for a wish or to share the hurt and pain? Prayers are significant; significant in reassuring, sustaining and comforting us. We find god and our own hopes, dreams and desires in our prayers . It is our hopes, dreams and desires that constitutes most part of our prayers. In this fast and modern world where our lives have become fundamentally selfish, our prayers too have become self-centered. I was making tea the other day and my mother was busy with her daily prayers. I started to wonder what are the things she prays about and for so long! There must be a long list of things to pray, which takes her at least an hour. Yes, that’s how long my mother prays for each day. Anyways, somewhere along I wondered off to thoughts about my own prayers. I started to think about what I pray for or who I pray for. My prayers: then & now! A child’s prayer: thank you for the world so sweet! I remember my prayers when I was much younger, a child to be precise. I always made a prayer before going to sleep. My prayers started with an apology for any misconduct, then a request for the well-being of each of my family members, sometimes I included a friend too. And finally I put a last note of gratitude to God to conclude my prayer. My prayers are not as elaborate or as regular as they used to be anymore. Most days I don’t pray, and when I do it’s either a short & simple one or about something to do with my own dreams, desires, fears and worries. So, when & why do we pray? We pray when we are in need, we pray if we are concerned about something, we pray for the well-being of our loved ones, we pray for our dreams and sometimes we pray just to pray. Whether our prayers are heard or unheard, we get something positive out of it. We feel relieved of our worries and secured by a belief which is strengthened by our faith. Prayers are for us to connect with an unknown force, the force of the universe and with our own thoughts, thoughts deeper than selfish self concerns. When you make your prayers and do make them often, don’t forget to include your loved ones in them. If it’s possible sometimes add a small note for all those benevolent people who were ever encouraging and kind to you. You will find in your heart a sense of great joy because of these prayers and may be (who knows) someone will find you in their prayers as well. Do you think praying has any significance in our lives? 💬 Do share your thoughts! Pray get you closed to God. When you prey the evildoers run away from you. It’s good to thanks the Almighty for the good things we had, and for the wellbeing of the lost souls in this world. Yes. Praying is important and praying for other people brings a sense of calmness in the spirit. I experienced that the other day when I included the people close to me in my prayers. Thank you for sharing. I find I can pray anywhere and anytime. My prayers are often more for those who are suffering, lost, or devastated by a natural or man-made catastrophe. thank you for spreading the word. Prayers are answered, often not in the way we want but always for the greater good. Your family should be proud of you! Thank you so much for your kind words, I appreciate it a lot. You are absolutely right, we can never comprehend the mysterious ways in which the divine universe works. Sometimes we give up on God thinking our prayers went unheard but God never gives up on us. We need faith & a lot of patience to accept that, I think! Glad to know others feel the same way I do. Have a great day! Good work on the article. I do think it’s important to pray each and everyday. I know sometimes we get so caught up in life but we must set time aside. I also agree. I use to keep a prayer journal at my desk at work at which I would write in everyday. Like Lauren said, sometimes we get caught up in life and forget how much impact a simple prayer could have. I broke out the journal again this morning after not writing over several months and the thought of it led me to this post. Thank you for the read! Praying is an antique religious behaviour, if you want to think of other people etc. you can do so everyday also in a secular way. Although I respect, even revere, the sincerity of those who pray in a formal manner dictated by their religion, my method of prayer is somewhat different. I enter a period of deep meditation, I do not pray for people, things or events, believing that such things, if within our power, will be worked out by our actions, rather than prayer. No, I pray simply to find closeness to and to be one with the cosmos, with all creation. Thank you so much Grace for sharing the thought. I admire your method of prayer, there can be no greater or better way to pray than to pray without any underlying motive, other than to find closeness with the divine cosmos. Very nice ! I am just going to finish my prayers before I hit the sack ! An interesting and insightful approach to prayer. I agree with much that you have written. However, I do not pray to an “unknown force.” My God came to earth in human form to make Himself known, and what’s more, He (Jesus) died to pay for my sins so I could come into His presence – clean! – and be adopted into His family. I have a very personal relationship with Jesus, and when I pray each morning and dedicate to Him all that I am, I see His hand in virtually everything for the rest of the day. My life isn’t perfect, and I have had my disappointments, but I have no doubt that Jesus loves me and knows what’s best for me. He inspired me to write my latest book, “BARRIERS (So, if prayers are so powerful, how come mine don’t get answered? )” It’s about those times we are disappointed, and what the Bible says are the reasons for our disappointments. Thank you so much for sharing your thought. I appreciate it. Good wishes for your book, hope it reaches to more & more people who will be comforted by your words & by the divine words of the Holy Bible. Thank you! I am hoping that, too. If you are interested in reading”BARRIERS,” email me your address, and I will be happy to send you a copy. My email address is bascha3870@yahoo.com. I am also born again into a new life in God through the sacrifice of His Son paying my debt on the cross. I love Jeremiah 29:11-12 ” for I know the plans I have for you, declares the Lord, plans for your welfare and not calamity, to give you a future and hope. Then you will call upon Me and I will listen to you and you will seek Me and find me when you search for Me with all your heart. I have found God to be my sweetest friend, mentor, provider, defender. He calls me to also be the best friend, mentor, provider, and defender. Every day as I learn from Him through the Bible, the wisdom and experiences of those about me and the Holy Spirit who lives inside me I am being transformed into the person He says I am: His daughter, a priest, an ambassador, a warrior, a healer, a rescuer. I am more at peace, more focused, more joyful and hopeful, more patient, more kind every day. Prayer is simply talking with my Abba Father and taking all my needs, my concerns for myself, my family, friends, the nation and the world to the Only One who can do anything about them. I trust Him because He is trust worthy. He keeps every promise He makes. He loves me without an agenda. He sent His Son, Jesus, into the world to set me free and provide a Way to always walk in His favor. Amen, janjoy52! Isn’t it amazing how we can both have that kind of relationship with Jesus, and yet each experience life as unique as we are? The Holy Spirit is not one size fits all. He knows how He made us and what word picture or thought would convey the heart of the Father to us most effectively to unlock all He intended us to have and to be and to add to our arsenal against temptation. Like with the prophet Nathan when he confronted David about his sin with Bathsheba. Using the word picture only a Shepherd could identify so completely with was from the Genius of Heaven! You provided a great opportunity to express what I love to share most. Thank you! Thank you! I am hoping that, too. If you are interested in reading”BARRIERS,” email me your address, and I will be happy to send you a copy. bascha3870@yahoo.com. I’m reminded of Matthew 6:1-8. It’s a good reminder of how to pray. First Thessalonians 5:17, reminds us when to pray. 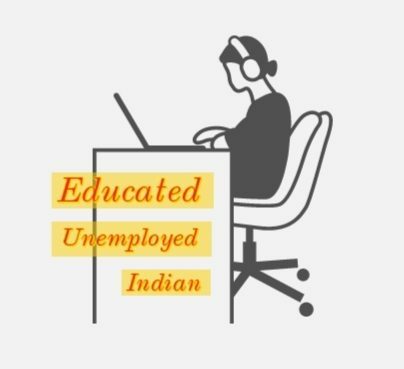 Educated, unemployed Indian; I fall short of both but I know when we do pray God loves to listen. Have a good day. A question to begin with – How difficult is it to pray for the people we don’t like? Very much difficult should I say but its worth a try! Nothing like praying for an enemy [not for bad things to happen of course] Its much easier praying for loved ones. Oh! and yes! In my prayers, I never pray for myself, it always for others. Be it for family or friends. Btw good post Binita. Good topic to write a post about…probably I might have a different take to it. lovely article written on prayers. Well for me As soon as I fold my hands in front of GOD somehow my mind is always empty. No thoughts or prayers that time. But other than that I keep saying to make everything beautiful in my and others life. I DO BELIEVE in prayers very strongly. They are effective. I felt a deep connection to it. They way you were portraying your ammi jaan, It just gave me a flashback of mine. She used to be the same. And I hope you pray for her well being in jannah. Gave me hope. Thank you.